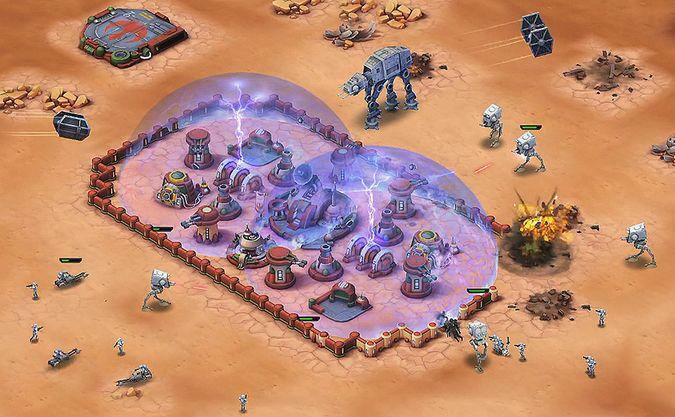 Star Wars: Commander is the latest free-to-play Star Wars game from Disney, and it is available now exclusively on iOS before making the jump to Android as well after an unspecified amount of time. You control the character of Saponza, a mercenary of Tatooine roots, shortly after the events of Episode IV: A New Hope. Your employers in the Rebel or Empire forces, you choose, task you with leading Clash of Clans-inspired large scale battles against the opposing armies. 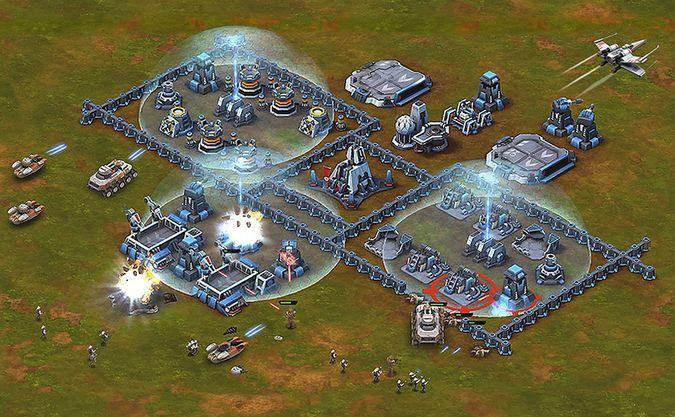 Build bases, construct vehicles and robots, train troops, send them off to lay waste to your opponents or leave them behind to defend. What sets this apart from the rest of the games of its nature is of course the familiarity of Star Wars‘ iconic design and John William’s music. The actual gameplay looks a little cookie-cutter. $100 for crystals in a cash-grab Star Wars game? You’ll almost be able to buy the upcoming Star Wars Battlefront twice with that kind of money. 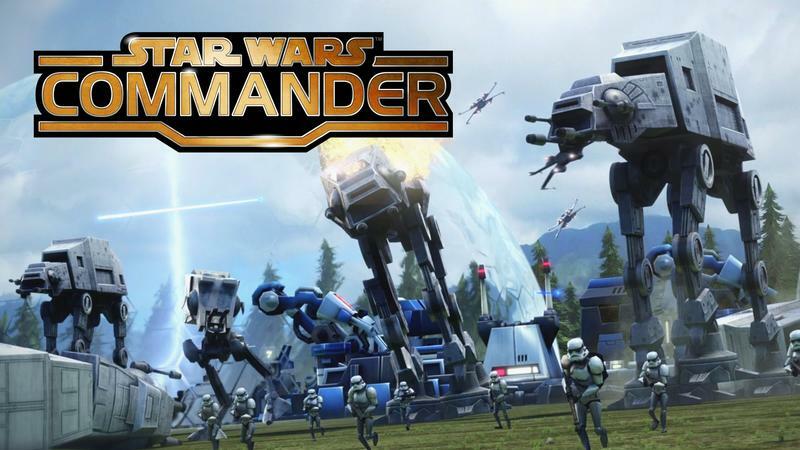 Polygon states that the execs behind this game are really excited about this as a platform which could evolve into Empire Strikes Back, Return of the Jedi, and the new films if successful enough, and in no way do they see Star Wars: Commanders as cashing in on a gaming trend with the Star Wars license. It’s not for me, but you might find it entertaining. Find out for yourself if the free-to-play nature actively encourages the payment options with a paywall. 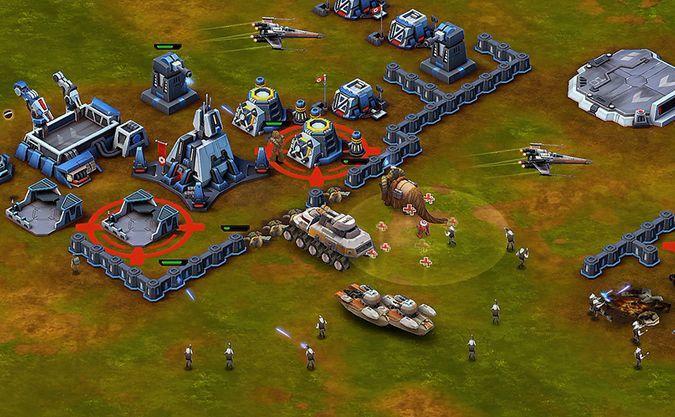 Download Star Wars: Commanders through the iOS and let us know in the comments below what you think.